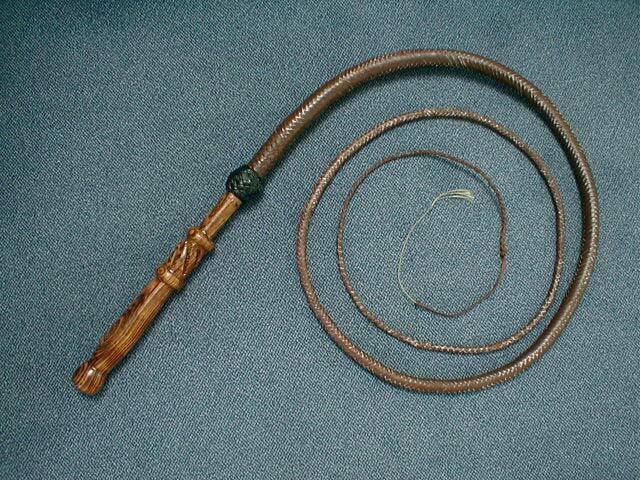 Steve Koliski is the maker of this nylon bullwhip with wooden handle. The handle is made of carefully turned bocote wood. The 18plait thong has a length of 7ft. This whip performs like a leather one, very fluid motion.